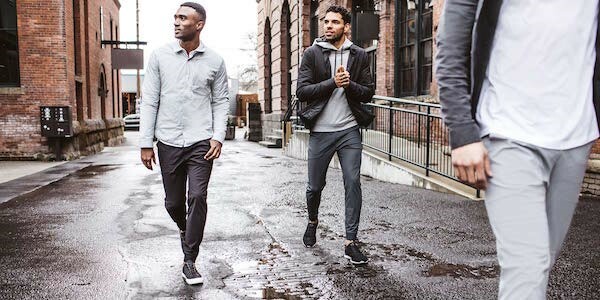 lululemon’s high performance gear is designed to take him into the fall weather, not out of it. Boasting water-repellent and wind-resistant fabrics, goose down for lightweight warmth and strategically placed vents for airflow, these new pieces will ensure comfort on muddy trails and rainy city sidewalks. Adventure from mountain to street in jackets and shells that don’t sacrifice style for innovation. Looking for this season’s must-have outerwear piece? The Pack It Down Jacket will keep him warm and looking good. Another wardrobe essential? 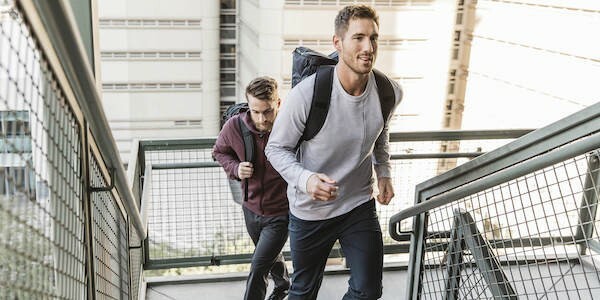 The City Sweat Thermo collection, featuring sweat-wicking, four-way stretch fleece fabric that will transition him from workout to hangout. Colder weather doesn’t have to mean going indoors. At least, lululemon doesn’t believe that. Embrace the changing seasons in gear that is both handsome and technical.